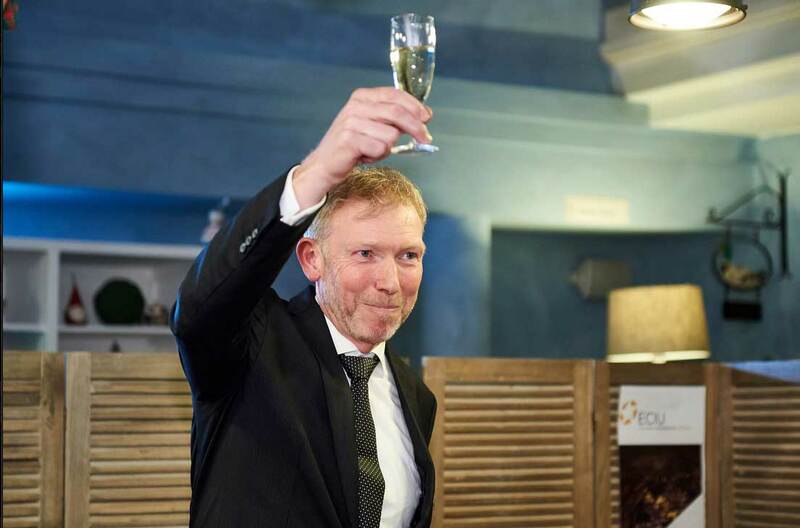 With these words, the president of the European Consortium of Innovative Universities (ECIU) and the president of the UT executive board, Victor van der Chijs, opened the ceremony celebrating 20 years of ECIU in Brussels yesterday. Representatives and alumni of all the twelve member universities gathered in hotel Leopold, next to the European Parliament, to raise their glasses to twenty years of international university partnerships. After the speech, eleven ECIU innovative showcases were outlined. Each university presented one result of of its research, which covers everything from a FOODsniffer for checking meat and fish products, to EnduraGel, an injectable hydrogel for the treatment of brain aneurysms. 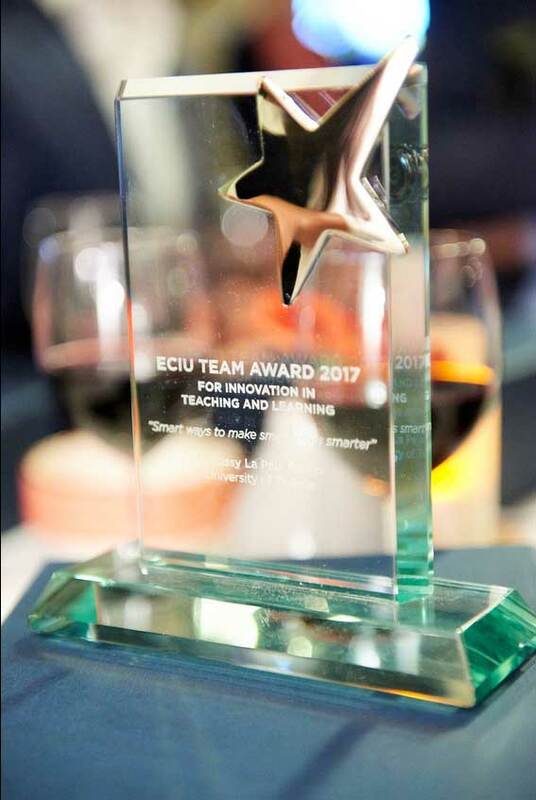 The University of Twente went home with the award for innovative education. The UT minor ‘Smart ways to make smart cities smarter’ was selected as the winner out of seven candidates. The jury especially appreciated the high level of interdisciplinary approach of the module and its connection to external stakeholders.